The dogPACER™ dog treadmill is made for all dogs. Because of our patented folding technology the dogPACER™ dog treadmill is extremely light and portable. Many people have dogs of various sizes and we have run hundreds of dogs from 1 lb to 179 lbs. 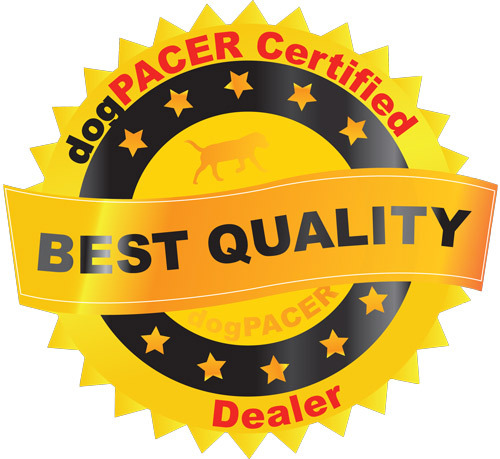 We designed and patented the dogPACER™ dog treadmill to be compact and portable. This took a lot of design time and testing to make the perfect treadmill for your dog and we accomplished just that. 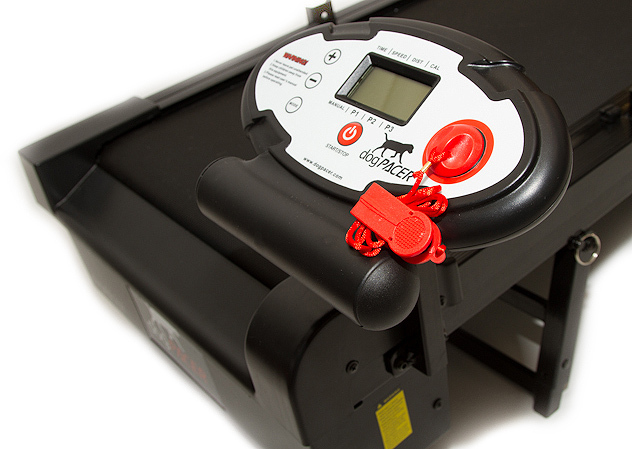 We designed and patented the dogPACER™ dog treadmill to be compact and portable. This took a lot of design time and testing to make the perfect treadmill for your dog and we accomplished just that. We knew that long treadmills weighing hundreds of pounds and costing $1000s would become obsolete…. the future of dog health, happiness and fitness is in a sleek design that is functional and practical! The dogPACER is made for all dogs. 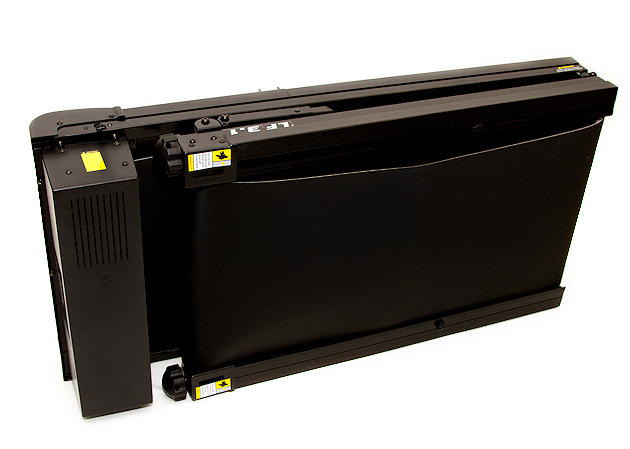 Because of our patented folding technology the dogPACER™ dog treadmill is extremely light and portable. Many people have dogs of various sizes and we have run hundreds of dogs from 1lb to 179 lbs. We spent a lot of time running dogs to find out just the right fitness programs for dogs of all shapes and sizes. Our computer has preset programs built in for your dog. You can also create your own program to suit your dogs' training needs. Weather - Every day is a perfect day for exercise when you are indoors. No issues with rain, sleet, snow or bad weather. Obesity prevention – A consistent regime of exercise and diet will lead to a healthier, happier and longer life for your dog. Allergy Sufferers – No matter how sensitive you or your dog are to pollution, pollen and weed allergen, your dog will still get his needed exercise at home. Time – Because of our busy and hectic schedules, we often find it a challenge to walk our dogs after a long day spent in the office. Safety – No worries about walking your dog at dawn or late at night or on a busy street. Exercising your dog indoor eliminates these issues. Inch L-46.45 W- 25.6 H-10. - Allergy Sufferers -- No matter how sensitive you or your dog are to pollution, pollen and weed allergen, your dog will still get his needed exercise at home. - Time -- Because of our busy and hectic schedules, we often find it a challenge to walk our dogs after a long day spent in the office. .- Safety -- No worries about walking your dog at dawn or late at night or on a busy street. Exercising your dog indoor eliminates these issues. 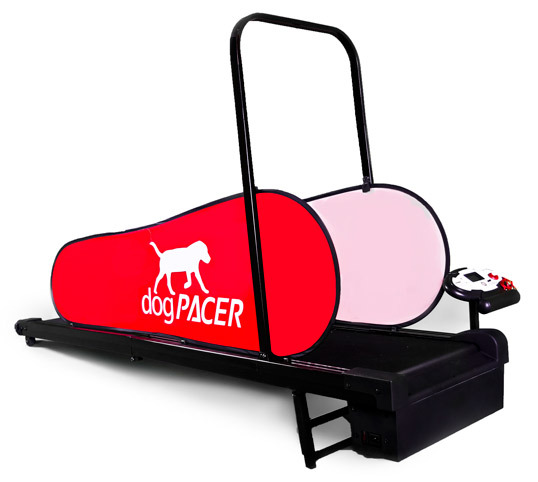 WHY THE dogPACER DOG TREADMILL? DoggyShouse Grooming Kennel 45" x 38" x 35"
Click the button below to add the dogPacer Treadmill to your wish list.